Tourism Western Australia gave commuters a taste of the region's sunny weather through a virtual reality experience to promote the first ever non-stop flight from the UK. 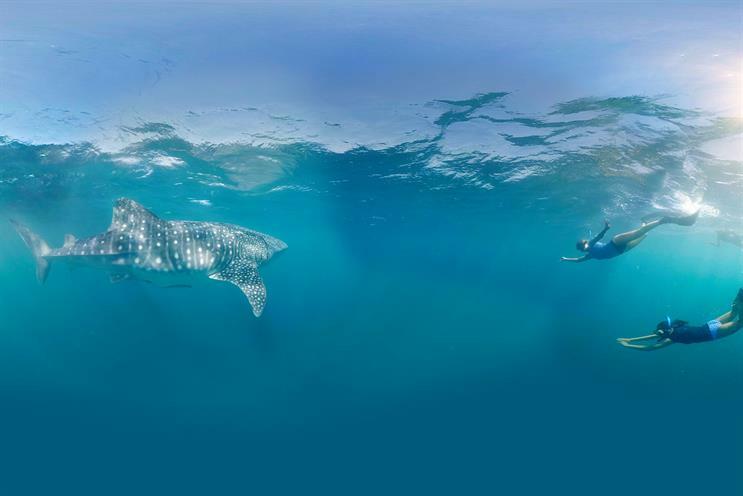 Passengers onboard a Chiltern Railways train yesterday morning were given VR headsets to experience swimming with whale sharks on Ningaloo Reef, as well as cycling on nature reserve Rottnest Island. People will also be able to try out the experience at Travelbag stores in Winchester and Kensington, and also sample premium wine from Western Australia on 10 March. The experience has been created by Taylor Herring. Paul Papalia, minister for Tourism Western Australia, said: "Visitors from the UK will be able to fly non-stop to Perth, from 25 March, with Qantas using the latest in aviation technology. "To celebrate this history-making flight we wanted to give London commuters a taste of some of the extraordinary experiences waiting for them in Western Australia using state of the art VR technology. "Western Australia boasts stunning landscapes, unique wildlife, flawless beaches, wonderful wine regions and endless sunshine – everything you need to brighten up a cold morning commute."